You are buying 5 12" x 16" Unpainted Wooden Crosses, cut from 1/4" MDF Anything under 1/2'' thick will not have a keyhole. 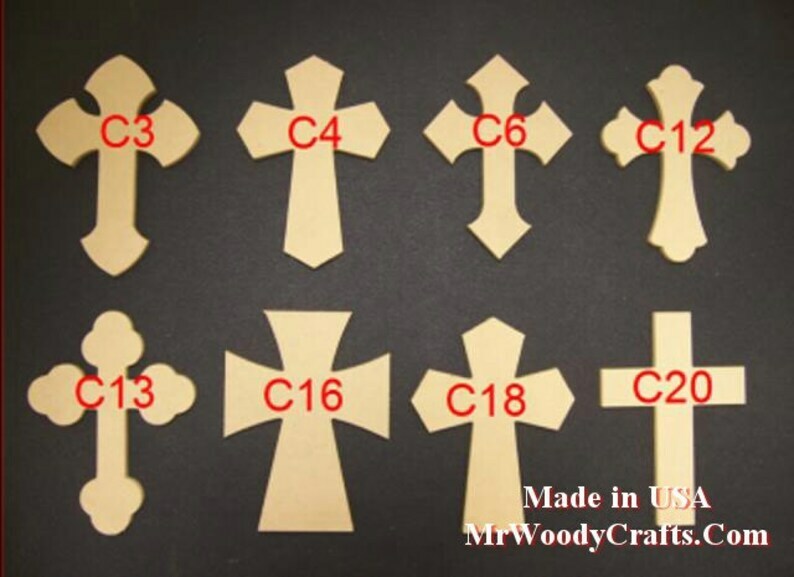 You are buying 5 crosses, please pick 5 from the above pictures, you can pick all the same or mix and match, please list these 5 cross numbers in the buyer notes at check out. If you are using a discount code please enter it at check out, there is no way of going back after check out.